Oregonians for Medical Freedom – Immediate Release: Monday Declared #StandWithSears Day To Support Dr. Bob Sears, M.D. 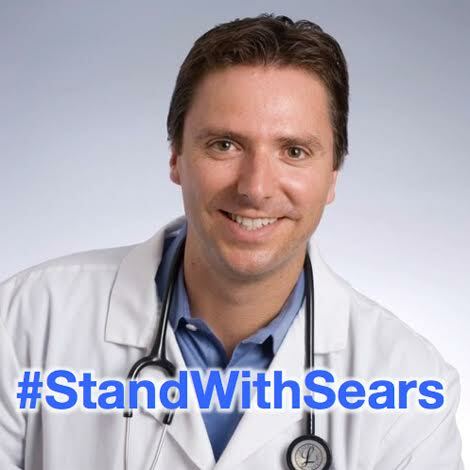 OREGONIANS FOR MEDICAL FREEDOM DECLARE MONDAY #STANDWITHSEARS DAY TO SUPPORT BOB SEARS, M.D. Oregonians for Medical Freedom, a coalition of Oregon voters championing medical freedom and parental rights that helped defeat a similar Oregon bill to California’s SB 277, announced today that it is deeply troubled by the accusation of the Medical Board of California that Bob Sears, M.D., committed “gross negligence” by granting a medical vaccine exemption to a toddler whose renal and digestive systems went into failure after his two-month vaccinations and who went limp for 24 hours after his three-month shots. Oregonians for Medical Freedom, on behalf of parents everywhere who believe that all medical procedures should remain a choice made between an informed and consenting parent and their doctor, declare Monday, September 12th, #StandWithSears Day. They are asking the Medical Board to close the case against Dr. Sears and respect the sanctity of the doctor-patient relationship. “We remain deeply troubled by the passage of SB 277 in California and encourage all California parents to fight for the return of their medical freedom,” said Committee Director, Robert Snee, a Portland-based attorney. The accusation by the Medical Board comes on the heels of a recent violation by the Santa Barbara County Public Health Department, led by Health Officer Charity Dean who through a leaked internal memo sent a requirement to all Santa Barbara schools to submit any student medical exemptions on file—without informed patient consent—for “comprehensive review” by “immunization program staff” for their new “Medical Exemption Pilot Program,” using public taxpayer funds. Since the circulation of the memo went public, Dean and the pilot program have come under scrutiny, and she, along with SB County Public Health Director Dr. Takashi Wada were named as defendants in an amended complaint in the lawsuit against SB 277, filed in the U.S. District Court in San Diego. To learn more about OFMF visit, http://www.oregoniansformedicalfreedom.com. To schedule an interview with a Committee Chair or Executive Director of OFMF, contact Stacy Cayce, at (503) 406-2882, or email [email protected]. Freedom from Pharma and mighty sold out government to Dr Sears and other great doctors!